How to make a video from clips? Did you think making videos demands special equipment and professional skills? Not so! We can help you create a movie from video clips or photos captured on your mobile device or camera in no time! 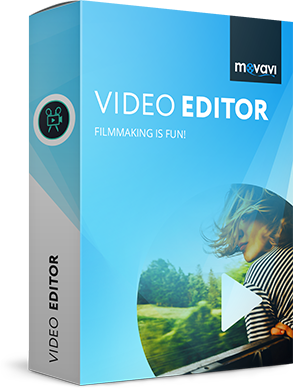 Get Movavi Video Editor and use different video edits to make videos everyone will love: add transitions, titles, and your favorite music to make outstanding movies! Here are the four easy steps to make your own video. To install our movie maker on your computer and then create a video, just download the program installation file, then run it and follow the installation instructions. 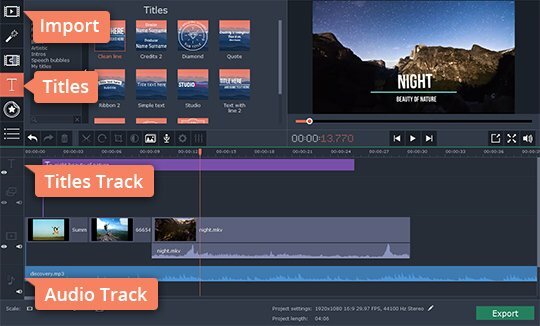 In the welcome window, choose Create project in full feature mode to start making a video. Then add the files you want to use in your film by clicking the Add Media Files button. The media files you’ve uploaded will be automatically added on the Timeline at the bottom of the program’s window. You can change the order of the files by dragging them around in the program’s working area. To make an inviting opening for your movie, add an animated clip or motion background from our stock video footage collection (hit the Sample video button, or simply follow the link). To add fades, open the Transitions tab. 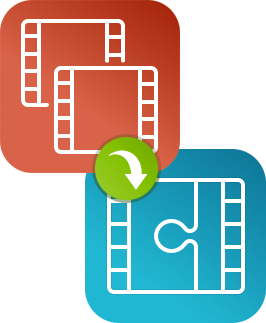 Choose the transitions you like and drag and drop them onto the Timeline between your video clips. 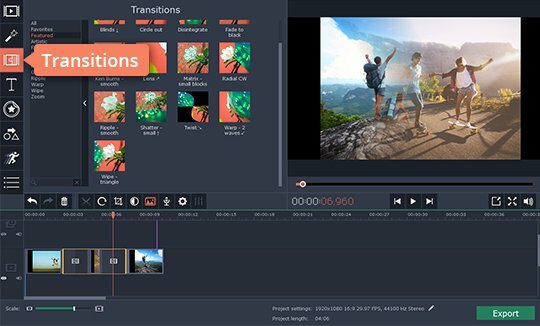 For more information, read the article about adding transitions to video clip. To add audio to the video, click Add Media Files and upload a piece of music of your choice. The audio file will be added on a separate Audio Track on the Timeline. Click the Titles button, select the title type you like, and drag its icon to the Timeline. All the titles will be added on the Titles Track. You can stretch them over the whole track to have the titles appear during the whole movie or just over a part of it. Double-click on a title to customize the font, size, color, and other parameters. 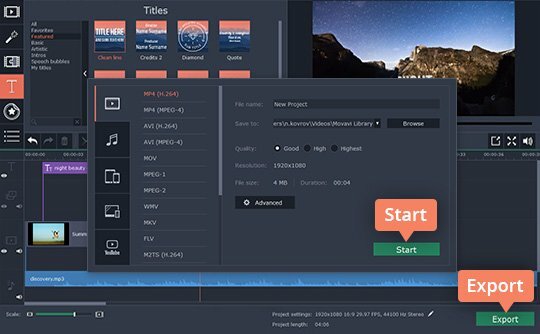 Learn more about adding titles to a video. To prepare the movie for your audience, click the Export button and choose one of the options form the tabs in the left part of the pop-up window. Finally, to save your video, click Start. That’s all there is to it! 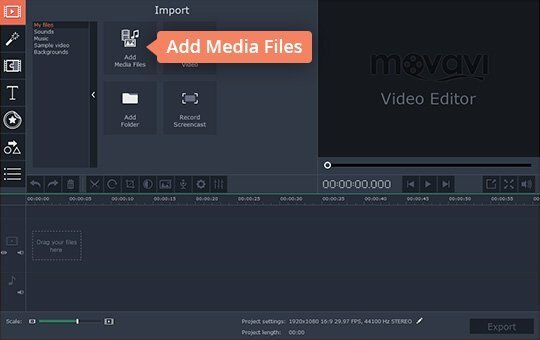 In four simple steps, you now know how to make movies using Movavi Video Editor for Windows or Mac. Now you can make your own movie! Just use video and photos you already have, add your favorite music, and enjoy your masterpiece.